"I hope it was worth it " challenged Spencer. Abqurah countered, "It was It's a better way to shoot things than with a Kalashnikov I wish I could turn all guns in the world into cameras." From what she showed them on the LCD panel, she did get some pretty pictures of the Arc de Triomphe by night, with yellow headlights beaming down on her from the oncoming traffic. 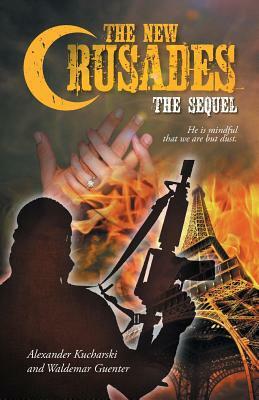 Waldemar (Wally) Guenter wrote a murder mystery, entitled The New Crusades, about Aamir killing his older sister, Hazirah, in a fictional honour-killing at a real place, Ball's Falls, Ontario, in October 2011. The parents are complicit in this crime because they help Aamir escape to ISIS. The younger sister, Abqurah, does not know about her family's atrocious plan. Waldemar Guenter, a scenery photographer, discovers Hazirah's body which prompts him to write the first novel as a kind of therapy. The sequel itself takes up the plot in October 2014 with the last two months of Wally's life. He is dying of pancreatic cancer. Even as he lay dying, life goes on for his young friends who get engaged and get married with high hopes for their future. Alexander Kucharski the main writer of this sequel, reconnects with his old flame, Lena. Also Detective Ed Spencer, from the first novel, courts and marries, Abqurah, the youngest daughter of the Ibrahims who went to prison for their part in their daughter's honor-killing. The Spencers become Christian and plan on a lovely honeymoon in Paris.